This was my first attempt at painting with watercolour. I was delighted at how it turned out, despite my lack of technique. 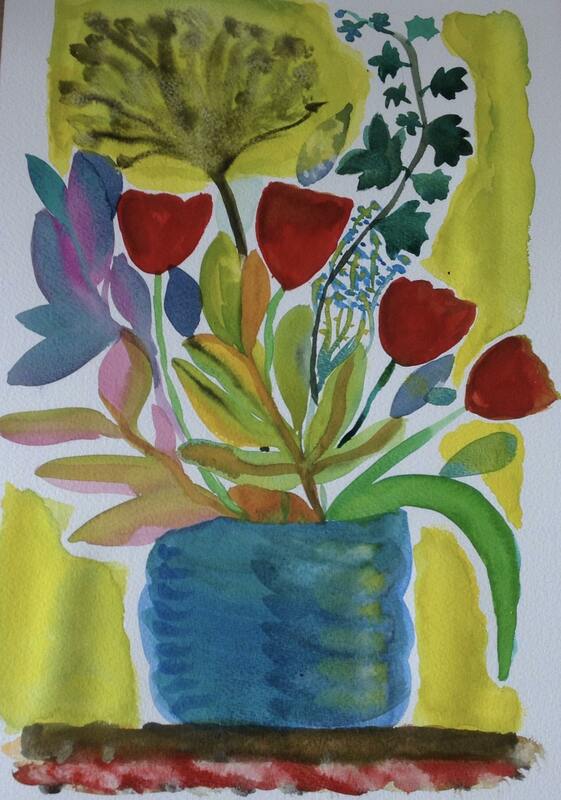 My impressionistic vase of leaves and flowers makes me happy with its colour and the memory of a new beginning. I cannot draw, but I can play with paint - and that always makes me feel better!